Presentation of the neogothic style in Buenos Aires. 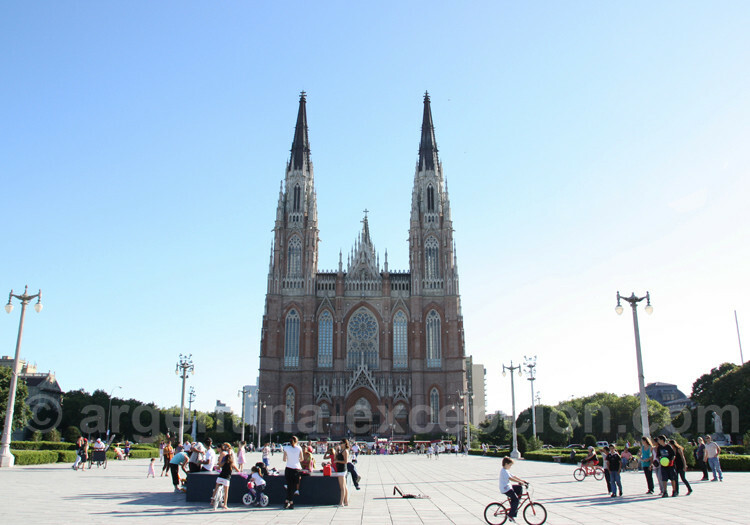 In Buenos Aires history, the Neo-Gothic style also called “pseudo-Gothic” does not occupy a very important place. It is a movement that was born in the 18th century in England and got to its height in the 20th century when all Europe was going through an authentic fever for the Neo-Gothic style which enabled to restore the cathedrals. Together with Classicism, it is one of the most important architectural styles and took the characteristics of the Medieval Gothic style. Most of the time, it was used to make religious monuments and it is frequently considered holder of an ecclesiastical moral character. Technically speaking, it is characterized by the lancet arch and the flying buttress that is useful as a supporting element to raise column as well as holed walls and walls closed by stained glasses. This building of the School of Engineering, University of Buenos Aires was first built to be the School of Law; it was built in Neo-Gothic style with no religious feature whatsoever in Buenos Aires despite its resemblance with the cathedral. The first project was to build a three-floor building with small inner gardens and a great tower in the middle. The works started in 1912 and were interrupted in 1938 due to the high costs requested. It was never finished. Nowadays, besides the School of Engineering, the building also hosts the Museum of Science and Technology. This Neo-Gothic building is located in the middle of La Plata, capital city of the province of Buenos Aires. It was a project by Pierre Benoît; they started to build it in 1885 and it was opened in 1932. 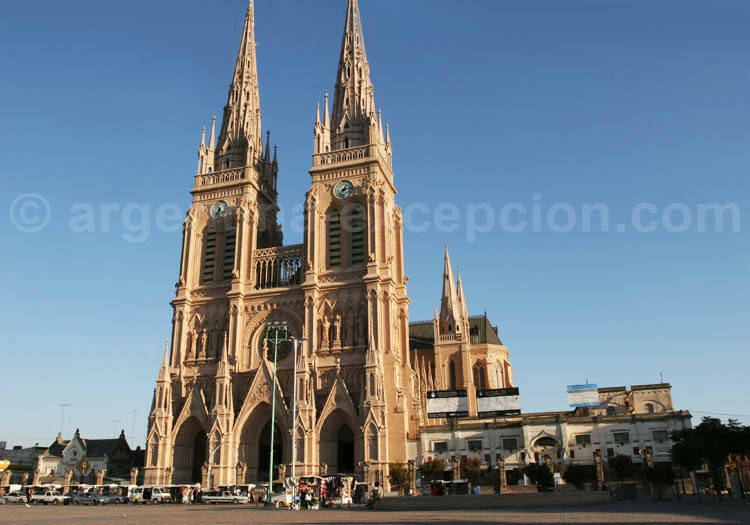 It is over a 7,000 m² area which makes it the biggest cathedral in America. 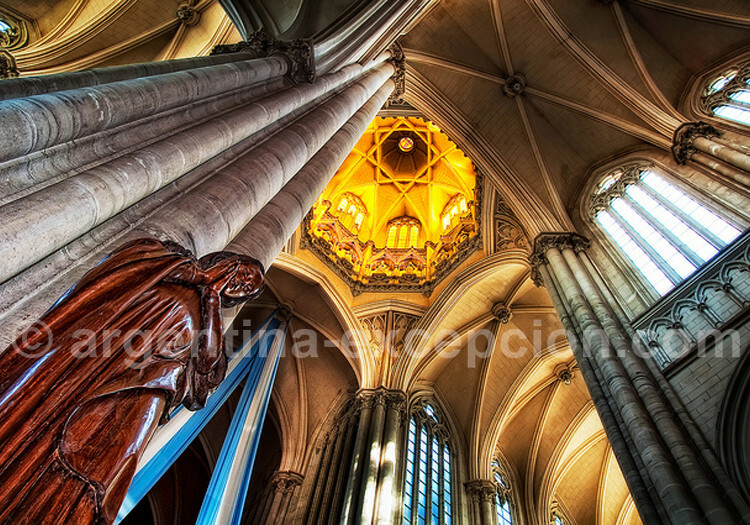 The cross over the Lantern is 111 m high and the two gigantic towers ended in 1999 get to 117 m. The stained glass of the big rose whose colors bright in the great central head of the facade is one of the cathedral’s ceiling rosettes. Its area is 180 m², and it is made up of 25,000 pieces. The 25-bell tower is used as a musical instrument and it can be computer-operated from any distance. The first stone of the Luján Basilica, a monument of the pointed-head Gothic style, was placed on May 8, 1887 by Father J. M. Salvaire. It is very impressive from outside; its magnificent facade is flanked by the two towers that get up to more than 100 m high. Its big nave has a great big rose that covers the organ’s tube from above the entrance door. The most important piece of work of the Basilica is the image of Luján Virgin, Patron Virgin of Argentina: a small 38-cm statue molded in clay dressed in a white robe and a light blue cloak that keeps an eye over the pilgrims from her revolving vaulted niche.